I like to give homemade gifts. It's fun to think about the person you are giving to and come up with ideas on how to make it personal, just for them. I have had some homemade gift fails in the past. I won't mention any here, as some of you might have gotten them! It's not that I didn't try, it's just that when I actually gave the gift, I thought to myself, hmmm, maybe I should have thought that one through a little bit more. I know you know what I mean! Try these gifts for some no-fail solutions. A tin of homemade candies. I suggest fudge, peanut butter balls and chocolate covered pretzels or mint patties. Be sure not to package mint patties with other candies that you do not wish to taste like mint. The same goes for peanut butter. A plate of homemade cookies. Focus on one or two varieties that you make well instead of piling on multiple different kinds. This is kind of a pet peeve of mine as flavors tend to mingle and none of the cookies taste distinct. Try to pair cookies that go together in flavor as well as look. Here's (LINK) a recipe for some allergy-friendly and totally delicious gingerbread cookies. Put these on a plate with some nice gingersnaps and you're in for a win. Make some jelly. Get bottle of juice, bag of sugar, pectin and some jars. You'll have some homemade jelly in no time. If you want to make jam, grab a bag of frozen fruit. Check out pickyourown.org for instructions. Once cool, arrange a few jars nicely in a basket and you've got a great gift. 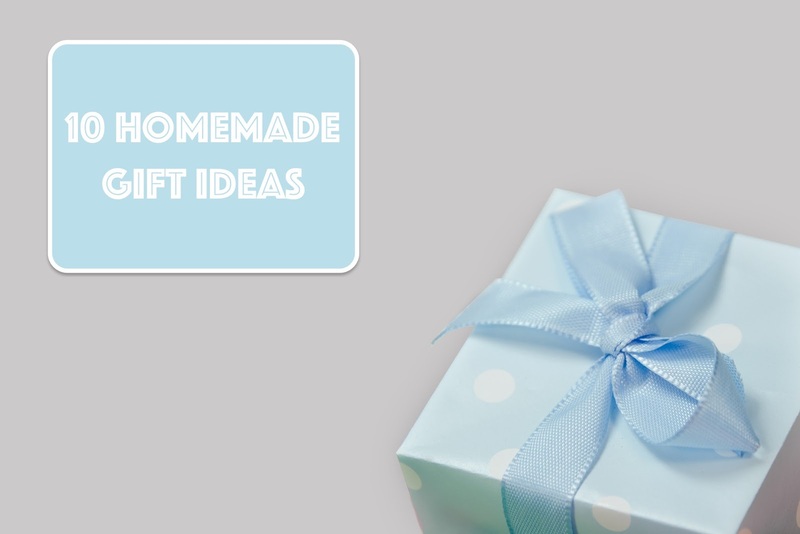 For a smaller gift, pop a bow on the top of a jar. Make a variety of scrubs, soaps or lotions. Attach instructions and ingredients for the receiver so they know what each product is for and so they can make any of the beauty products themselves once they run out. Put them all in a nice basket and add a facecloth or two. Here's a link to my Pinterest page that might help you out. A blanket is a thoughtful gift and the person can think of you every time they use it. I've made many blankets in my few years crocheting and I think many people enjoy receiving them as gifts. Here's a link to a crochet blanket roundup (ADD LINK) to give you some ideas. And here's a link to my crochet blanket Pinterest page. This is great for kids. They can never have to many of these winter necessities around. Find out what color the child you are giving to likes and make a set in a short amount of time. Each individual piece works up quickly, but if you've got multiple people to give to, you might want to start this project earlier in the year. Here's a beanie and here's a granny square hat. I didn't do it, but you can make matching gloves and scarf to go with these hats. Many people have been turning back to simple homemade cleaning supplies. Check out my Pinterest page for some ideas. Add to that my homemade laundry soap in a pretty jar and you have something someone would love to receive. One of my favorite homemade seasoning mixes is taco seasoning. I use it all the time and I'd never go back to packets. It's so inexpensive, but not only that. It's delicious and you can mix it according to your family's taste preferences and nutritional needs. Other mix ideas can be found at Budget 101. This is a great site and I get a lot of excellent ideas here. Get some fabric to match your friend or family member's kitchen and sew up some simple cloth napkins. Get some napkin rings and you have a nice, personal gift. You can fill a basket with homemade and store-bought kitchen supplies. Purchase a towel or two and put them through this towel ring. Make some simple washcloths and add some dish soap and potholders and you've got a great gift! To spice it up a little, add in a scrubby sponge and dish wand. You really can take this wherever your hear desires. So there you have it! I hope you found some great ideas for this Christmas. If you like what you see, subscribe to my page on the right of this post. And as always, feel free to share this with your friends!